SGH provides well-informed, timely research on the major central bank, fiscal and political (macro-policy) events that drive global bond, equity and foreign exchange markets. We combine deep expertise in monetary and economic policy, politics, and trading, with primary sourced information to deliver our cutting edge, market relevant reports and briefings. Our analysis and insight is further enhanced through an on-going dialogue with some of the world’s most influential hedge funds, asset managers, and financial policymakers. We focus strictly on macro-policy and politics and do not cover companies, sectoral, restricted, or regulatory issues, nor do we lobby, sell access, advertise, or execute trades: we stand proudly and solely accountable to the quality and value of our information and insight. SGH Macro Advisors, LLC was founded in 2009 in the wake of the Global Financial Crisis by Sassan Ghahramani. The firm’s headquarters are in Greenwich, CT, with affiliates in Washington DC, Brussels, London, and Tokyo. SGH Macro Advisors also offers interested clients a real-time Model Portfolio that is produced separately by its affiliate, SGH Macro Capital. The ability to rapidly collect, analyze and connect key inputs across geographic regions, at a high level, integrating political, economic, and market expertise enables SGH to deliver truly global, truly macro information and insight to traders, investors and policymakers. We combine concise reports with one-on-one phone calls and group meetings to ensure clients receive personalized, timely and high value insights. SGH provides advisory services on a strictly retainer basis and only to accredited, institutional investors. SGH also provides briefings and reports on a courtesy basis to senior financial policymakers. Our reports are always forward looking and focused on what will or may happen, rather than an analysis of what has happened or opinions and prescriptions for what should or should not happen. SGH also fosters communication and dialogue between the policymaker and investment communities through organizing and sponsoring roundtable meetings and invitational events. In a world filled with the noise of unfiltered opinions and blogs, conflicted and unaccountable research, rumors and chat rooms, and headline-seeking news reports, SGH stands apart as a unique thought leader and respected provider of cutting edge insight and information – a firm known to help shape expectations of the most sophisticated and well-informed constituencies around the globe. SGH’s retainer-based revenue model is built on accuracy, independence, and accountability. SGH has no need or interest in generating trades, web hits, ad revenues, controversy, or speaking fees. We are judged solely on the quality of our hard hitting analysis and reports. SGH’s structural freedom from institutional silos, conflicts of interest, and bureaucratic bottlenecks further differentiates us from conventional media, think tanks, and street research. 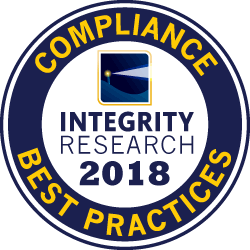 Integrity Research Compliance Accreditations affirm that SGH Macro’s compliance controls comply with industry best practices. To receive accreditation, SGH Macro underwent due diligence to demonstrate that the firm not only has appropriate compliance policies, but also that policies are understood and practiced. View accreditation details.